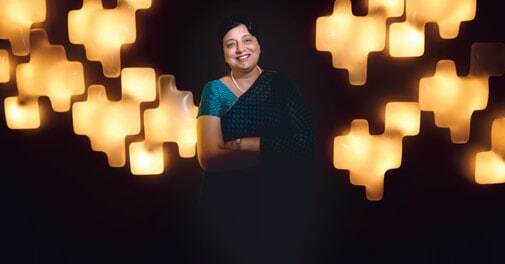 Neelam Dhawan has made HP India's top PC vendor again. She is now aiming higher. A string of pearls adorns Neelam Dhawan's neckline and diamonds sparkle on her fingers and in her ears. 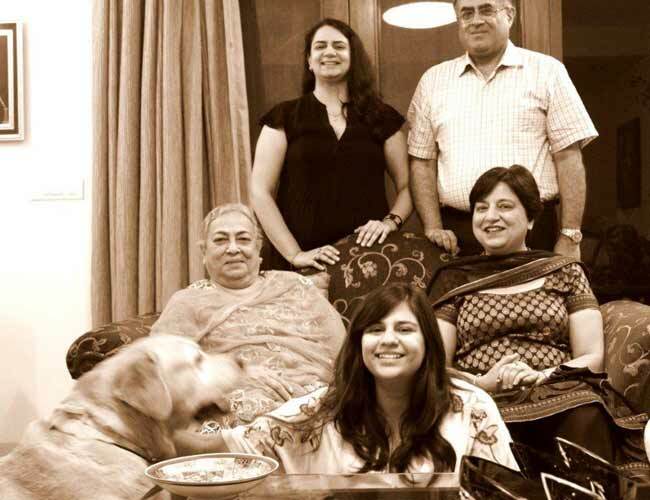 "I wear all I have," says the Managing Director at Hewlett-Packard India. "I am not the one who stores them in the locker." Be it wearing jewellery or making more important decisions, Dhawan believes in using the opportunities that come her way in the best possible manner. It was in 1983 that Dhawan, now 54, finished her MBA and joined HCL. Her other choices included "selling soaps or software, or join a bank". Hindustan Unilever and Asian Paints did not hire her because, well, they thought women were not suitable for market-facing roles. 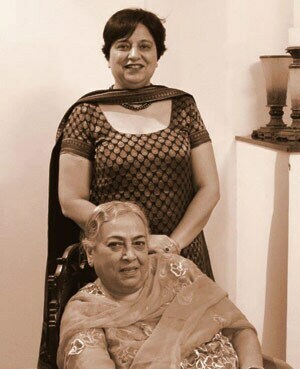 Bonding time: Neelam Dhawan with her mother-in-law Noshi Dhawan in a recent photo. A lot has changed since then. The Indian IT industry, worth about $100 million then, is now worth $110 billion. HP has transitioned from a PC maker into an IT solutions company. It was once the country's No.1 PC maker, but lost its mojo and fell behind. It clawed its way back in December 2012 when it bagged a deal to supply notebooks to students in Uttar Pradesh. Says Dhawan: "We had lost leadership in India and then we had eight to nine quarters of straight leadership." Other than PCs and notebooks, HP provides IT solutions to companies. She would not talk about it due to confidentiality issues, but one of Dhawan's proud achievements is a contract with India Post to connect 28,000 offices. The past three decades include many instances of an excellent career. In 1986, she helped launch the first affordable PC called the HCL BusyBee. At a time when no one put up hoardings and gave print ads for PCs, Dhawan did. (The PCs were then priced between Rs 20,000 and Rs 40,000.) It was also the year she bought her first car, a blue Maruti 800, for Rs 76,000. In the 1990s, nobody knew of distribution channels. Dhawan, who was with IBM then, set up India's first channel network for Tier-II towns, to sell IBM machines. In 1999, she joined HP. The new century was the services era. She got HP its first two outsourcing contracts in 2003. Then, in 2005, she joined Microsoft India as its managing director, and became the face of the brand in the country. In 2008, she returned to HP to head its India business. Ravi Venkatesan, former chairman at Microsoft India and Dhawan's one-time colleague, recalls sharing the stage with her in 2007 when she had led India to win the best subsidiary award amongst all Microsoft subsidiaries. "Neelam has been a remarkably successful business professional. She is probably one of the finest sales leaders in the country. She builds very robust relationships with customers. She likes winning," he says. While career is important to her, equally important is her family - a supportive husband, who is a partner at consultancy and audit firm Deloitte, and two children. When her first child was born in 1989 - she was in the US then, helping set up HCL America - she took just 10 days off. She worked from home most of the time as Shiv Nadar, HCL's Founder, allowed her to do so. She would often take her daughter to work, because she could not find a babysitter. And then she was pregnant with her second child. "My colleagues thought, who is this obviously pregnant woman who is continuously pushing us," says Dhawan. "The moment you tell yourself that your family and career are equal, you will make time for both." She now wants to concentrate on large and transformational projects. She talks of the HP VideoBook, where a company team looked at the CBSE curriculum and created digital content around videos, articles and other reference material, using the Internet and cloud technology. Already, five lakh students are using this. Dhawan believes there is a lot more that HP can do. "I still think we are in a phase where many new solutions are being discussed." With her daughters Nupur (younger one), Naina (eldest daughter) - her closest allies & her husband Atul Dhawan & mother-in-law - her pillars of strength.